Dynamic "On-The-Fly" Simulator - Modeling. Simulation. Optimization. Analysis. 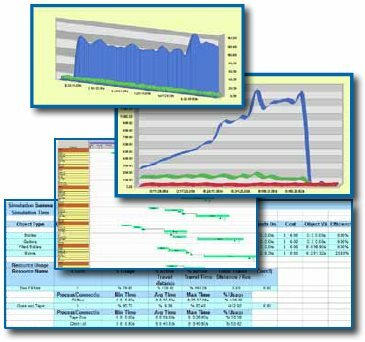 Quickly Building a model quickly is one thing, but in order to have a valid model you need analysis. 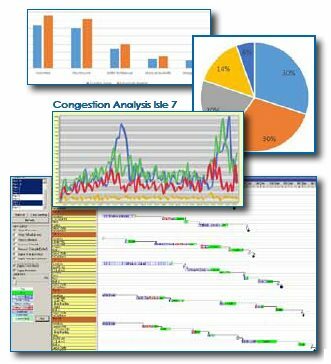 With Simcad Pro, analysis and reporting is available out of the box without the need to define variables and establish formulas to capture lead time, cycle time, travel distances, efficiency, utilization, and many others. 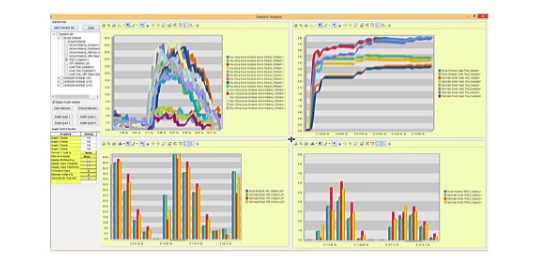 Using Simcad Pro, Scenario Analysis is a natural extension of the modeling process. 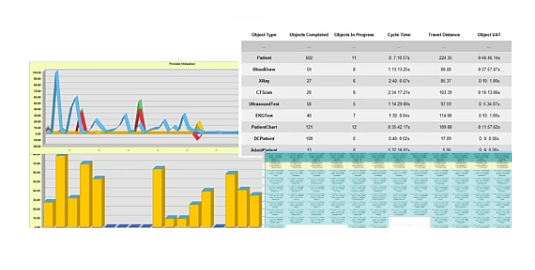 As you work through creating the baseline model and begin to compare various scenarios Simcad Pro's dynamic modeling environment allows you to compare these options using the integrated scenario analysis tool-set allowing you to view results through various graphs or spreadsheet reports. 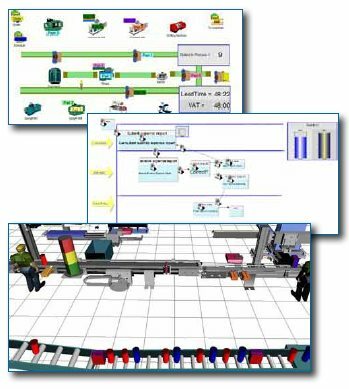 All model components and constraints can be modified based on external data input while the simulation is running. Constraints can be changed based on timing or model conditions. 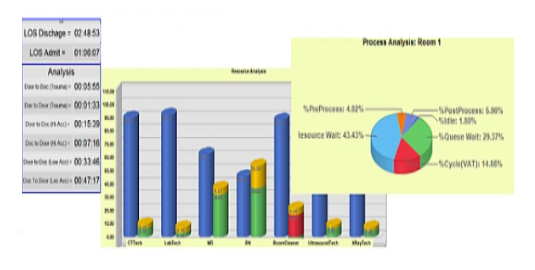 View additional videos of process modeling, simulation and optimization. Feel free to contact us with any questions you may have. We’re here to help.